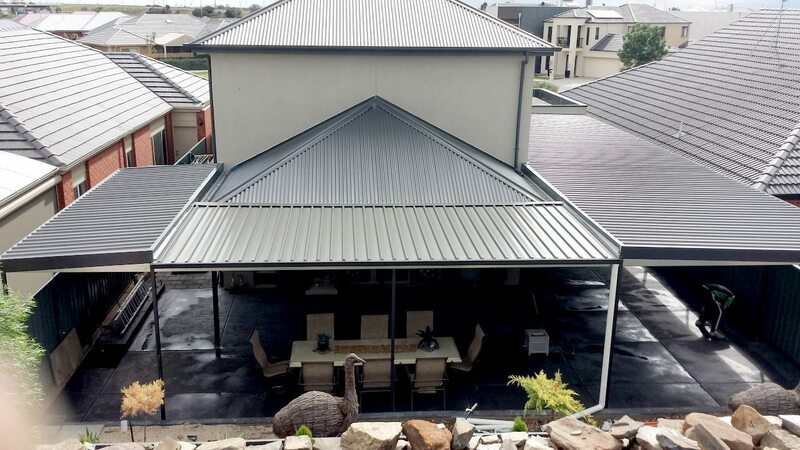 Offering all the strength without compromising the flexibility of design, our verandahs can extend your living area by creating an inviting outdoor entertaining space. 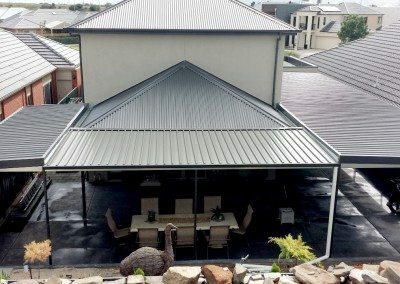 Customers love our verandahs because they are low maintenance, fully guaranteed. 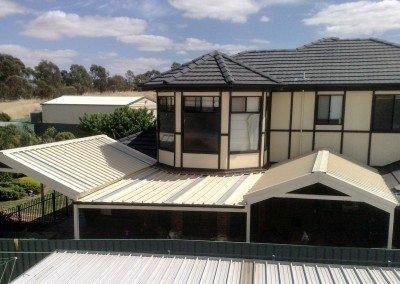 A carefully designed and strategically placed verandah can vastly improve the appearance, functionality and value of your home. All of our materials are fully treated to resist the effects of harsh weather. 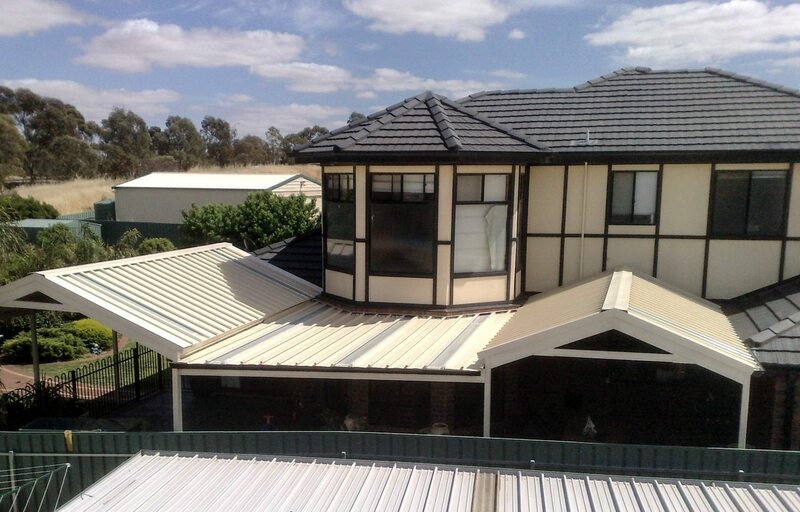 We will work with you to match your home’s style to your new verandah. You can choose from a range of colours, styles, finishes and add on such as pillars. 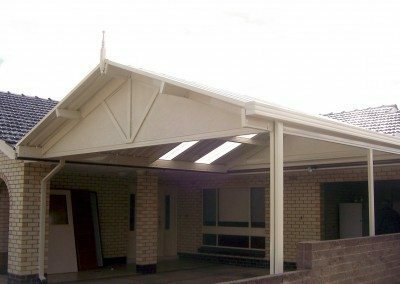 We can custom make verandahs including Gabled, Domed, Hipped, Flat Roof, Solarspan, Fully Enclosed and Alfresco. Adding stylish decorative touches such as shade coverings and screens can provide protection all year round. Adjustable shutters, retractable awnings or other innovative ideas in the design of your verandah can also reduce your energy consumption. You can reduce the heat transfer into your house in the summer and maximise it during the winter. 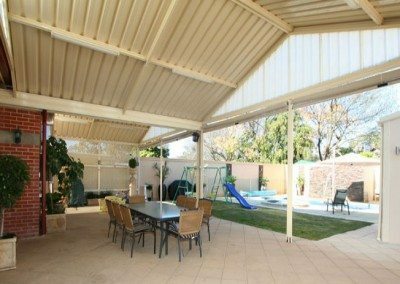 A smart design for your verandah is important. We bring out the best in your home by matching the style of your home with the products we use. Our designs will compliment the architectural style of your home or update it by promoting a contemporary look. 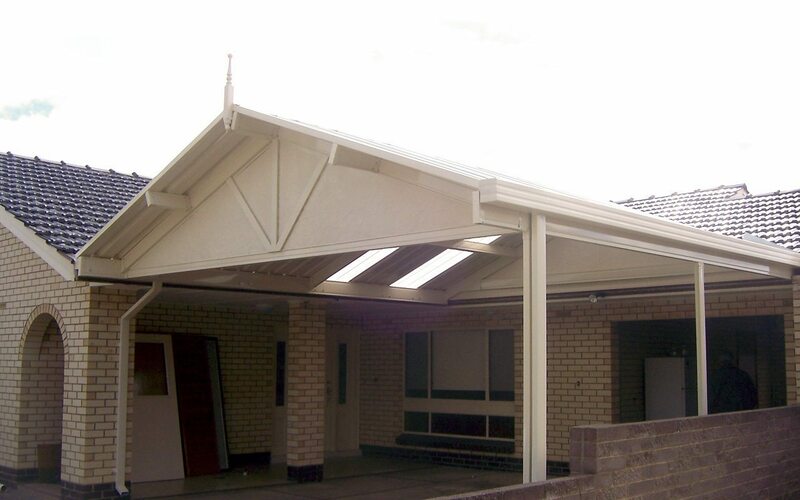 Verandahs can vary in form from a simple awning to large multi-functional spaces surrounding a home. 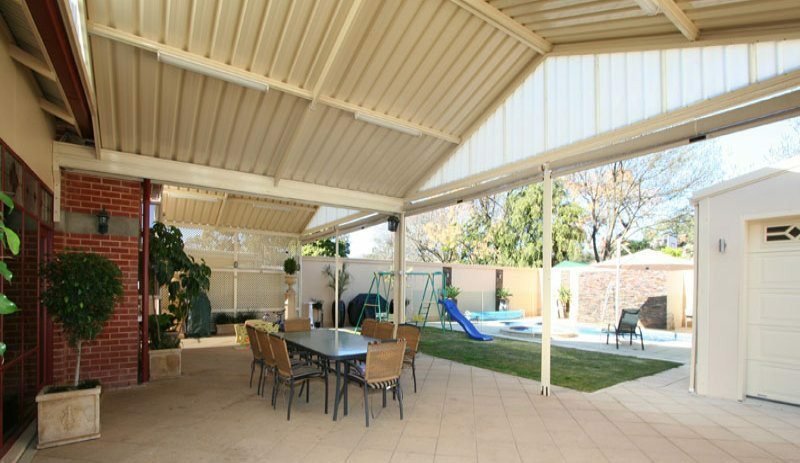 We will custom make your verandah to integrate with your garden, entertaining or pool areas. Our structures are built to protect the people that will be using them – your family and friends.